Slavery was a horrific practice. But there has been a lot of interesting conversations concerning the early U.S. Constitution and slavery. So I decided to research the matter by reading the actual early accounts rather than recent misinterpretations, and here is what I discovered. It is widely said that Article I Section 2 refers to “slaves as three fifths of a person”. 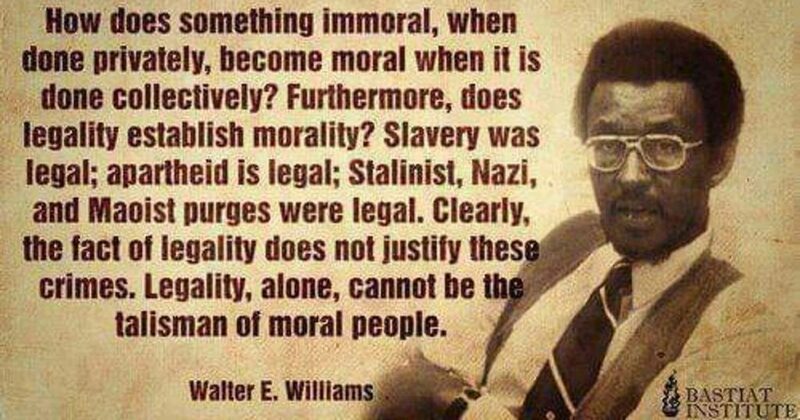 That is not exactly true: the Constitution does not use the word slave or slavery at all. It uses the words “other persons” in Article I Section 2, and there is a reason for that. The House of Representatives shall be composed of Members chosen every second Year by the People of the several States, and the Electors in each State shall have the Qualifications requisite for Electors of the most numerous Branch of the State Legislature. Representatives and direct Taxes shall be apportioned among the several States which may be included within this Union, according to their respective Numbers, which shall be determined by adding to the whole Number of free Persons, including those bound to Service for a Term of Years, and excluding Indians not taxed, three fifths of all other Persons.The actual Enumeration shall be made within three Years after the first Meeting of the Congress of the United States, and within every subsequent Term of ten Years, in such Manner as they shall by Law direct.The number of Representatives shall not exceed one for every thirty Thousand, but each State shall have at Least one Representative; and until such enumeration shall be made, the State of New Hampshire shall be entitled to chuse three, Massachusetts eight, Rhode-Island and Providence Plantations one, Connecticut five, New-York six, New Jersey four, Pennsylvania eight, Delaware one, Maryland six, Virginia ten, North Carolina five, South Carolina five, and Georgia three. At first glance one can easily make some false conclusions unless they know the history which I share with you here. 1. Article I (Section 2) was not about slavery. Check it out: it is all about State’s representation in the House of Representatives. Slavery only entered the discussion as a result of an attempted power grab. Each State wanted to make sure they had ample voting powers. 2. The non-slavery States were in a very heated discussion with the slave holding States. The latter insisted on a representation strictly according to the number of inhabitants, whether they were slaves or free persons. It was the non-slave holding States that wanted representation according to the number of free persons only (slaves not to be counted at all). As one can see, the former version would have given the slave holding States a big advantage, and encouraged more slavery. By simply importing more slaves, a State could have easily increased their representation, and power in the House Of Representatives. The disagreement was so volatile that it nearly ended the creation of the Constitution of these United States. 3. After much discussion, a compromise was reached which was that three fifths of the slaves were counted as part of the number of free persons, as the basis of the appointment of Representatives. Interesting note: They purposely did not use the word slaves for reasons to be explained below. But it was well understood that “other persons” referred to the slave population. Supreme Court Justice Joseph Story, in his book “The Familiar Exposition Of The American Constitution”, writes “This clause as is manifest from its language, was designed solely to reserve to the Southern states, for a limited period, the right to import slaves. It is to the honor of America, that she should have set the first example on interdicting and abolishing the slave trade, in modern times.” (pg 185). He further writes (on page 186): “And it ought be considered as a great point gained, in favor of humanity, that a period of twenty years should enable Congress to terminate, in America (as Congress in fact has terminated the African slave trade) a traffic, which has so long and so loudly upbraided the morals and justice of modern nations.” It is interesting to note that his book was written well before the Civil War. Note:  Joseph Story was Justice of the U.S. Supreme Court from 1811 to 1845. He was a child of the American Revolution, born three years after the Declaration of Independence. The video below explains even more, and tells you what Frederick Douglas, who was a scholarly black man, and himself once a slave, had to say about the Constitution and slavery. Visiting a black college had a profound effect on Ben Franklin. Several years later he joined an abolition Society. Franklin came to believe that slavery should be ended, and eventually freed his own two slaves. American history is not perfect. We had Founding Fathers who practiced slavery. But why do we no longer hear about those who opposed it, and participated in the “Underground Railroad” to free the slaves? Why do public schools no longer teach the Constitution? If you like articles like this one, please support us, and recommend us to others. Thank you. Does Your Child Have A Learning Disability (or misdiagnoses)? Learning Disabilities are often misdiagnosed even among professionals. An increasing number of parents are told their children have a learning disability, and need to be held back or medicated. Many parents have concerns about the latter because medications do have side effects. Being held back can also have side effects. If this describes you and your child, you will want to read this article before making a decision. There certainly are times when medication is the answer. However there are numerous cases where children have other conditions that are too often misdiagnosed as a learning disabilities. Symptoms can mimic each other. So parents are wise to be apprehensive. This article provides valuable information and alternative choices that will help you and your child with this important decision. Note: These are not all the possablities, nor is it to put the blame on parents or teachers. This article is provided to imposer parents with information. In this article, you will find the following: (1) Artisan personalities, which is the most common, (2) Scotopic Sensitivity (3). Natural Time Clocks, which is often the case with analytical personalities like Einstein’s, (4) The hearing problem called “cookie bites”, (5) The effects of stress (cortisol) on the brain, which is increasingly more common. (6) Pronouncing phonic sounds incorrectly, which is the second most common. (7) whole word verses phonics. The Hands On Learners (Artisan Personality) are often misdiagnosed as having learning disabilities such as ADD or hyperactivity. They are also often described as “immature“, and held back in school repeatedly. These children are brilliant until they enter the traditional school environment. They are the first to learn any task that is “hands on” like riding a bike. “Hands on learners” won’t give up until they master such tasks…they might fall off, get skinned up, but are right back on their project until they succeed. To learn more about different learning styles, you will want to click HERE. º Light sensitivity in conditions like glare from lights (car headlights), glare from surfaces, bright lighting, florescent lights (including energy saving light bulbs), sunlight and night vision. º Contrast problems like black text on a white background can cause the letters or background to move rapidly for these children. º Window blinds or verticals create a contrast that can create vision problems. º Stripe and bold patterns can cause them to see violent movement where there is none, or to see them in 3D when they are flat. º Restricted field of clear vision. They might see only part of a page clearly while the rest is blurry causing them to have trouble keeping track of where they are at on a page. º Note: Some of these children love to draw, but refuse to read. Extreme cases of this condition have been misdiagnosed as Asperger Syndrome. Note: According to Dr. Aman, this condition can Lead to headaches, anxiety, depression, problems reading, and depth perception issues. He further states that getting this condition treated and properly diagnosed can make a significant difference in your physical and mental health. At the age of five, Koty had learned all of his phonic sounds (from a phonics/reading game…..because he hated flash cards), and could read all of his early reader books. He also enjoyed sounding out large words like “premium” as he and his mother traveled around town playing word games. But he had no desire to pick up a book and read it. He preferred, instead, to have his mother read to him as she had from the time he was little. Mother was becoming a bit worried, because other kids his age were able to read better than koty. But she had read the book Better Late Than Early: A New Approach to Your Child’s Education , by Raymond and Dorothy Moore. As a result, she decided to do as the scientific research suggested. One day Koty again asked her to read a book for him. He was fascinated by the picture on the cover, and wanted to know what was inside. “Sorry Koty”, she replied, “I just don’t have the time right now”. Koty, anxious to learn what was inside this interesting book, began reading it by himself. He did not put it down until he had finished. Mom even allowed him to read late in bed to nurture his enthusiasm. What a miracle! Just as the Moores had predicted, Koty’s enthusiasm was lit. From that day forward he became an avid reader, and advanced several grade levels in a very short period of time…passing his peers. My little brother, who is now grown, describes himself as having experienced this same situation. He says he learned to read later than most because he simply was not ready. By the way, he is of above average intelligence. By the way, as a child Albert Einstein was described as a slow learner, and his teacher believed that he would not succeed in any career. One can learn more about this research at this link: Different Learning Styles. This one I experience myself, and it is very often misdiagnosed until late in life (for me t was in my 30‘s). Hearing specialists can test for this condition, and prescribe digital hearing aids to help. Allow me to describe this condition for you. Children with this condition will be able to hear some sounds very well, and others not so well. For example: I hear Rs, and Gs. However F, and S sound just alike to me unless I am able to read your lips. These children become very proficient at reading lips, and logically filling in missing sounds and words. As a result parents often never realize that it is an actual hearing loss. º You will find that these children seem to follow instructions better when they are looking at you then they do when not able to see your face. º They will also commonly mispronounce words causing them to be poor spellers, and poor at decoding phonic sounds to form words (they often pronounce phonic sounds incorrectly). º Tip: when teaching these children their phonic sounds, be sure they are able to look directly at your lips. My children say they thought I was ignoring them when they said Mom. The truth was, I did not hear the M…I only heard short vowel o. Many children with hearing problems often compensate by becoming good listeners, and good at reading faces. If your child is experiencing stress, pay close attention to this section. The results of too much Stress causes learning disabilities, and must be addressed. When we experience stress, it causes an elevated level of the toxic hormone cortosol, and children are less able to deal with stress then are adults. Studies show that the toxic effect of excessive cortisol resulting from stress, has an effect on the brain. Note: The effects can be lasting if stress happens over a long period of time. This hormone was found to be one of the major causes of behavior problems, learning disabilities (ADD, ADHD, dyslexia, hyperactivity, ext), confusion, and impaired thinking in adults and in children. This hormone effects children’s ability to learn. I find children can become stressed simply because they think something is wrong with them if other children are learning to read faster then they are. Some of the conditions mentioned above , diet (like an allergy or sensitivity to sugar), incorrect disciplining procedures, or excessive testing can cause stress. Very sensitive children often need different discipline practices than other children might. In large classrooms this is often very hard to accomplish (one size never fits all). Madeline Lavine PhD is a psychologist with over 30 years experience working with children. In her book, Teach Your Children Well: Parenting for Authentic Success , she explains that the way we are educating children today is actually causing learning disabilities. I have worked with many children who falsely believed that something was wrong with them because they were not reading as well as other children, and this alone can cause stress for children (elevated cortisol levels). Pronouncing the phonic sounds incorrectly is one of the most common causes of an inability to read. Not all children are hindered by this, but way to many are. So if your child knows their phonic sounds, but is having trouble reading this section is definitely for you. One of my students was enunciating only the letter w incorrectly. But she believed that something was wrong with her because others were reading better than she was, and it became a self fulfilling prophecy. She was stressed every time she was asked to read a book, She could read perfectly while playing our reading game because play takes away stress. But put a book in front of her, and she couldn’t read the same word that she just read while playing the game. So in this child’s case I used the board game to teach her blending of the phonic sounds (especially words with w in them). After she became confident that she could read using the game, I presented her with a grade level book. When she struggled with a word in the book, I simply put that word on the red part of the board game (not playing the game, just using the static cling letters, and placing the word anywhere on the board). She confidently read the word placed on the game board (it was a game to her…no stress). Than I had her move back and forth from the game to the book until she got it correctly in the book. After doing this for a period of time, she lost her fear of books. This was another one I personally experienced. I suspect my teacher resorted to teaching me word recognition because she recognized that I was not grasping the phonic sounds. She likely never realized it was due to the “cookie bite” hearing loss I describe above. Karen uses and endorses Ring Around The Phonics for children with ADD, dyslexia and asperger syndrome. In fact, she says this game landed her tutoring job after her nephew’s tutoring service saw what it did for him. P.S. Many parents who have children with Autism are finding great results by using the method taught at RDI Connect. Being informed, and participating in your child’s diagnosis can make a difference in the outcome of his future. No one cares more than you. Are you interested in helping your child learn? Does it break your heart to see them struggling? Please allow me to tell you a true story that will help your child learn. It was in the 70’s when I was given my first group of children that had not learned to read with the traditional method of teaching (One size fits all that has only increased with government’s Central Planning/ Government mandated curriculum and testing). That group of 8 were all first graders from the same class. They were given to me shortly after Christmas, and the teacher had decided that they were going to fail. This decision is traditionally made by that time of year, because it allows teachers to prepare the other children for the year end test, which allows them to graduate. She (the teacher) told me that I was to help these children learn to read. She continued to work with them on every subject except reading. So I knew that I was to be their babysitter for the remainder of the year. These eight children were considered dumb by their classmates. It was absolutely no fault of the teacher…It was just kids observations, and conclusions. Seven were hands on learners, and one had a short term memory problem. I knew these kids were smart, and could learn. So I just could not give up on helping them by simply babysitting. Perhaps you can imagine how inadequate I felt, and, to be honest, scared. So I did the only thing I knew to do, and that was to pray for guidance. I asked a Higher Power to show me how to help these children. That very night, in a dream, the whole method was presented to me. So the next school day, I was well prepared. The children loved it. One little boy (the tallest in the group) was advancing more slowly than the others. So one child declared, “He is dumb!” The tallest child lowered his eyes, and his face. He looked so sad, and devastated. It was heart breaking. I knew that he lived on a small farm, and could drive a tractor. So I quickly said, “Oh no, he is not dumb! Did you know that he can drive a tractor?” The other kids exclaimed, “He Can?” “Yes”, I said. The little boy who thought he was the dumbest of the dumb, was suddenly aroused. He raised his face, and his blue eyes widened with surprise. From that day forward, he was considered the hero of the group, and, more importantly, he learned more quickly. In fact all seven of these children began learning faster in other subjects simply because they discovered that they were not dumb after all. A child’s attitude about themselves can affect their learning ability. Because there was so much divisiveness in the group, I told them that once they all learned their first 8 sounds, we would all read their first book together. That day arrived rather quickly, and the kids were so excited (me too). Every time one of them read a sentence, we all giggled in delight as the reader rapped their arms around themselves in a hug, and giggled with joy. They had become a team eager to help one-another. When this first group was able to read at grade level, I went to the teacher, and told her that seven were ready for her to teach reading again. She did not believe me, so for the rest of the year, I was their only reading teacher. I did not know it then, but the method was whole brain teaching, which involves as many of the senses as possible. These children didn’t learn with the traditional method, but they easily learned with a hands on method. Thus their self-esteem was better, and their stress dissolved as their excitement increased. Whole brain teaching helps children learn, and studies show that it even improves the health of the brain. To the teacher’s surprise, seven of my group passed the end of the year reading test, and were moved on to second grade. Over the years I repeated that success with children from kindergarten through sixth grade, using that very same method. Adults began asking me to teach them how to help their children who were struggling with their reading. So my daughter, some home school families, a game designer, and an English college professor, helped me to develop the learning game Ring Around The Phonics. Because of their loving efforts, it is now easy for you to help your child. (Customers can buy this product on our website). To learn more about the game, click here. Be sure to check out the savings with our value pack click here (The fourth purchasing option). Don’t let your child suffer any longer. You can help your child with Whole Brain Teaching… Help them learn to read, the easy and fun way, as have many others just like you. Dr. Stanley explains why this method is so effective (A Vygotskian Perspective). Note: Studies show that when children discover their talents (that which lights their fire), they will learn previously difficult subjects just to be able to do that which sparks them. Read more about that on our blog. Suicides, depression, and violence are on the increase in our public schools. The school librarian in this link is right on. I worked as a professional tutor in the public school system. Many very bright hands on learners, and analytical thinkers do not learn from the method now mandated in the public school system. The conventional method (workbooks and lectures) don’t work for about 40% of the children. Those individuals who don’t learn with this method are treated like they are dumb, and feeling shamed, isolated, or worthless. So they were given to me to tutor. Simply by using hands on learning methods (Whole Brain Teaching like Ring Around The Phonics), they quickly and easily learned. You should have seen the transformation once they discovered they could learn, and did not need to be drugged. 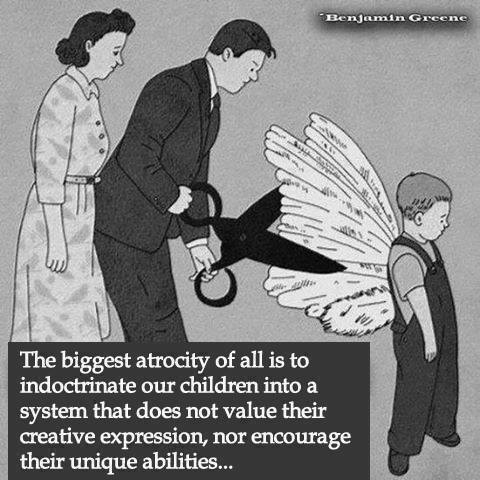 We are overly concerned about “success” (making money in the workforce), and not concerned enough about developing a child’s natural individual talents. I witnessed countless teachers who deeply cared about the children, but their hands were tied by a bureaucracy that cares more about money than they do the individual child. When Jacob Barnett was 2 years old, he was diagnosed with moderate to severe autism. Doctors told his parents that the boy would likely never talk or read and would probably be forever unable to independently manage basic daily activities like tying his shoe laces. But they were sorely, extraordinarily mistaken. Albert Einstein’s story is very similar. Gandhi failed at the career he was educated for, but he united a Nation. Increasingly our children are suffering from depression, suicidal tendencies, violence, and anxiety. Guns or no guns will solve this. We allow the news media and emotions to divide us with gun issues. Focus on the kids and the issues they are facing, not guns. As a little girl I use to tell my Mom, “There was a difference between positive thinking, and sticking your head in the sand”. She thought that if she acknowledged a problem, she was saying a giving it more power. So problems weren’t discussed, and festered until they exploded. Education does not rehabilitate, because if you educate a criminal, they don’t rob you with a gun anymore. They rob you with a computer. Getting them to express their feelings does not work either. If you get an angry criminal to express his feelings, he simply expresses more anger. The psychologist went on to explain that we all have false ideas. Criminals simply have more of them. It was discovered that by changing their false (dysfunctional ideas) to functional ones, was the solution to rehabilitation. For example: Many criminals would say to him, “Everyone is doing it”. His reply was, “Depends on who you hang around. My friends aren’t doing those things.” The other psychologists were totally enthralled in what he was saying, until he held up the book, As a Man Thinketh: 21st Century Edition (The Wisdom of James Allen) “This book is exactly what I have been talking about”, said the speaker. As a youth group leader, a 16 year old girl came to me in tears. She was pregnant, and said, “I don’t understand why God is punishing me. My motives were good. I love the boy.” I said to her, “what happens if I stick my finger in the electric socket?” She replied, “You get shocked.” “Yes”, I said, “and what happens if an innocent baby sticks their finger in an electric socket?” She replied, “It gets shocked.” I went on to explain that it was not God punishing me, the baby or her. It is simply the Law Of Cause And Effect. Because the sixteen year old falsely believed that her good motives would protect her, she was vulnerable, and open to all kinds of tragedies. Because my Mom falsely believed that she could not acknowledge a problem, she was doomed to suffer the consequences. In Conclusion: It is our false (dysfunctional) ideas that lead us into trouble. Refusing to talk about something negative that is happening is dysfunctional. It carries negative consequences. Learning styles are sometimes described using different words: spatial/visual learners who learn by seeing. Some are tactile/kinetic learners who learn by doing and/or touching. Others are auditory learners who learn by listening and talking. The rest may be logical learners who learn by thinking. However Plato broke these different learning styles into much more useful detail, and researchers are rediscovering his words of wisdom still important today. Understanding the different learning styles/ personality types is important because it improves one’s abilities as a parent, teacher, and spouse. · Because Nts are such a small percentage of the population, they are unlikely to have role models in their lives to help them develop their own unique talents. They are often left up to their own experimentation and exploration for that need. Thus the Unschooling Method of instruction works well for these children. · Sp adults (see second video) are wise to help the rational child by providing them tactical roles, because little Nts are usually eager to add concrete techniques to their skills. Self esteem is developed by recognizing and praising their inventiveness and cleverness. They are not usually impressed with gold stars on their hands or papers…it makes no sense to them. 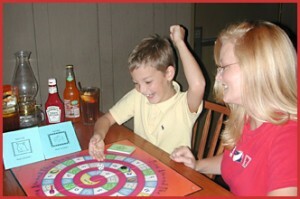 · These children love board games like Monopoly , and learning games like Ring Around The Phonics. Note: unlike most children, they will quickly get tired of doing the same activity cards in Ring Around The Phonics. When that happens, I start letting them write their own activity cards, helping them if they have not yet learned to write. It is an excellent way to start teaching them writing skills. ·They are more likely to practice reading if it is a subject that interests them. For example, one of my students likes Star Wars and science books. So I will start out reading to him, pointing to the words as I read, pausing periodically for him to pick up where I leave off (especially when I get to the big words). Because he is interested in the subject matter, he continues the reading (out loud) without any hesitation or instruction from me. · Once the NT knows their phonic sounds, I use Ring Around The Phonics to teach them root words, prefixes, suffixes and word families which helps them decode the larger words. They also like a challenge, so I will sometimes say, “I am going to try to trick you. lets see if you can read this big word.” Usually just stating something that way motivates them, and they will usually figure it out. However, if they can’t figure it out, they can become quite upset with themselves. That can be a time to teach them it is OK not to be perfect. · Nts can become quite stubborn if others try to manipulate them. However they can benefit greatly by parents and teachers who help them understand why social niceties are important. It is also important to explain to them why you are having them do something they don’t want to do. They are more likely to cooperate if there is a reason they perceive as logical. · Most of all parents do well to read to their rational child. They are fascinated by stories. · They look critically at any plan of action, particularly if based on tradition or custom. Rational children need help in understanding that these things are important to others, and a smooth operation to society. When I say understand, I mean the logic behind such things…not just because “I say so”. · This is funny but true: The ST child likes to accomplish something while learning, and the NT child likes to be taught how to do things just to satisfy his desire to know. So both personalities will learn while building something like a room addition. However, a word of caution; the NT will often stray from the standard way of doing the job just to find out “what if”. It can be quite an adventure. Nts are very good at analytical thinking, and have trouble understanding that their sarcastic remarks toward others, who are not so analytical, are hurtful. They benefit greatly by understanding the different personality types, and it helps them to develop some of the social niceties. · For children that are learning to read, or having trouble learning to read we have found nothing better than Ring Around the Phonics. Hands on learners love it. 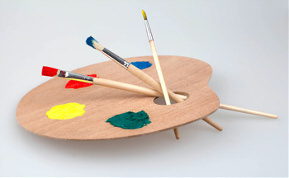 · The Artisan often sees other personality types as “stupid”. However if they are helped to learn about, and appreciate the unique gifts of others, they can become Great leaders. · This is funny but true: The Artisan child likes to accomplish something while learning, and the NT child likes to be taught how to do things just to satisfy his desire to know. So both personalities will learn while building something like a room addition. However, a word of caution; the NT will often stray from the standard way of doing the job just to find out “what if”. It can be quite an adventure. · A personal note written about their work can be a powerful motivator to these children as long as it is positive. A negative approach can provoke an NF into rebellion or inaction. · Like the SP, the NF learns best from discussion and role playing methods . · Their vocabulary often exceeds their ability to put things on paper. So, putting their thoughts on a recording first, often helps their creativity. · Unlike the SP, they prefer team work over competition. They are highly sensitive, and feel the pain of others. As a result, they will often let others win so as not to hurt them. When I play learning games with these children, I am quick to announce that everyone is a winner because they completed the task. · The Idealist learns best through discussion, and role playing, but will adjust to various methods of teaching (Eclectic) as long as it is serving the people involved, and not perceived as cruel or exclusive. · These children seem to have high moral expectations of themselves, and can be perfectionists in that regard. Unlike the SP, the NF can feel guilt when acting devilish, and often have to learn how to stand up for themselves in a positive manner. · While the SP wants to know how his toys work, the NF child is more likely to weave imaginary stories around his/ her toys. They can become quite attached to them, feeling a great loss when one is lost or left behind. · The Introverted NF can become very isolated, and needs help developing social skills in order to develop their full potential. 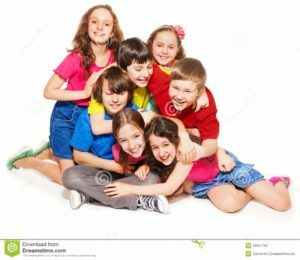 That is not to say they need to become more extroverted, but that they need to develop some social skills in dealing with others. · They like sticky stars and the like placed on their papers and hands. · Unlike the SP (artisan), the guardian child will sit quietly waiting for instructions. · Little Sjs usually respond well to specific assignments and responsibilities like feeding the pets, or setting the table. · Their source of pride is the approval they receive from figures of authority when they do a job well. Doing their best loses its appeal if approval is not forthcoming. If they are less than helpful, their self respect can suffer as they develop feelings of guilt. · They do well with workbooks, and the Conventional Method of instruction. My father was an NT (rational), and my mother an SJ. Mother was quite intelligent in her own way. She was far more successful at running business enterprises, and tending to details. But because she was not good in analytical conversations, my father did not appreciate her unique intelligence. SJs are a good balance for the NT only if the differences are understood and appreciated. Otherwise they become a source of irritation and division. The book below not only teach more about the personality types, but it also has a test that one can take with family and friends to help us understand each other better. I found this activity fun and informative. I highly recommend the book because it improves relationships. ADD / ADHD: It is often thought that these children are unable to concentrate. In reality, the person with ADD / ADHD is apt to lock in with an exceptional degree of focus when he is genuinely interested. (Resource 1, Page 50). At an early age Einstein was considered lacking in intelligence, because teachers had trouble getting him to focus. (Resource 1, page 56). Because of MRI and SPEC brain scans, psychologists are rethinking everything they knew about learning disorders. According to Dr. Amen, there are 7 different kinds of ADD . Note that not all of them show brain damage, which indicates that some may be what is often described as different learning styles as far back as Plato. In other words, at least some of those diagnosed with ADD/ ADHD may not have a learning disorder at all. These children showed an enhanced ability to overcome “constraining influences”. (Resource 1, page 54). 40% of children with ADD / ADHD also have dyslexia. When they are reading something that disinterests them, their mind wonders uncontrollably (Resource 1, Page 57). When they are reading something that interests them, their mind can be laser-beam intense. (Resource 1, Page 58). This also describes the learning styles analytical thinker, and hands on learners. Someone who is impulsive by nature can “make a lot of mistakes” in business. So hook up with someone who is by nature methodical and looks at all the possibilities (Resource 1, page 63). Walt Disney was highly creative in his field of interest. But he was unable to make a success of his abilities, until he hired his bother to help him. Drugs do not teach the behaviors that will help those with ADD / ADHD function in the world and workplace as they grow older (Resource 1, page 67). When given the least structure, these children are better able to discipline themselves (Resource 1, page 67). They also need to take frequent breaks (Resource 1, page 69). 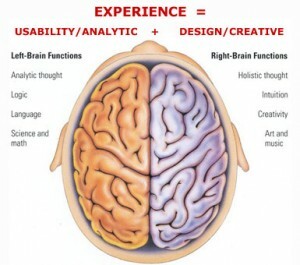 Both of these things are also true with the learning styles of the Hands On Learner, and the Analytical Thinker. Finding a field or area of interest that captivates the child with with ADD / ADHD is perhaps the single most important way to ensure future success in life (Resource 1, Page 72). When you find areas of talent,then motivation will follow.” (Resource 1, Page 74). Karen Walker, a professional tutor, recommends Ring Around The Phonics (Whole Brain Teaching) to help children with ADD learn to read.. It can be most painful and destructive when a child is labeled with a learning disorder such as: (1) Dyslexia, (2) ADD, ADHD and other attention disorders, (3) anxiety, (4) Melancholy (depression), (5) Bipolar, (6) Schizophrenia, (7) or Autism Spectrum. 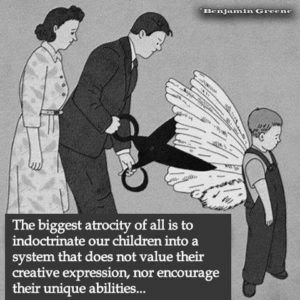 It is not only painful and destructive to the child, but to the parent and society as well. Insurance companies require these labels in order to issue payment on treatment. But it is by nature very inaccurate and misleading: it is not how those in the medical field treat patients (resource 1, page 15). We have been focusing on areas of learning in which children were weakest. We now know it is much more important to focus mostly on a child’s interests (80%), and only some on their weakest areas (20%). This is just opposite of what educators have been doing, and can cause more harm than good. Scientists were surprised to learn that the most creative individuals are at higher risk for mental illness than are the less creative. The world is full of fascinating people who didn’t achieve such success despite their brain differences, but rather in large part because of their brain differences. 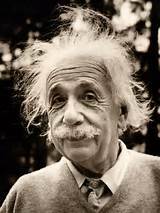 (resource 1, pg 9) Einstein could not have made his historic scientific breakthroughs were it not for his day dreamy, distractible mind (ADD). In the words of psychologist Scott Barry Kaufman, ” I don’t think everyone (with a brain difference) has the potential to achieve greatness in every field, but I think everyone has the potential to achieve greatness in some field.” (resource 1, pg 11) If we educators find that spark that ignites their interest, these children find ways to achieve what interests them, even if it takes improving what they are weak in. “The irony is that while my patients are focused on getting past the obstacles that exist between them and their larger goals, it is very often, the case that there is great strength to be mind from those obstacles, and brilliance to be observed in how my patients both utilize their struggles, and maneuver around them.” (resource 1,pg 12) In fact children who do not learn to overcome obstacles are less equipped to overcome them as adults. Plato talked about different personality types /learning styles, and it still holds true today. Different personalities types/ learning styles are often misdiagnosed as having learning disabilities (resource 2). 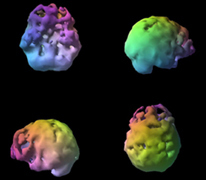 Whole Brain Teaching improves the health of the brain for those with learning disabilities. Learn more at our website. The Power of Different: The Link Between Disorder and Genius , by Gail Saltz, M.D. Following is a delightful and funny true life story told by a public school teacher who became a homeschool mom. If you are thinking about homeschooling, or if you want to improve your homeschool abilities, this article is for you. “At first I wanted them to sit at a desk and learn like I did. I set up my classroom like a school classroom with a computer station. I began using K12. I wanted a teacher who “really taught” that particular grade to oversee everything. I had never taught elementary school. I set up a desk for each child that faced a big whiteboard at the front of my classroom. We sat in circle time at the beginning of each day and we would discuss the weather, day of the week, and all these other things. It was the most productive time of the day, but I thought it was because the kids were “fresh.” I found later that it’s because they were totally, whole body engaged. (This link is an article on the Florida Homeschool Association. When you homeschool, the whole world becomes your classroom.) They were wiggling and going to the bulletin board to put up the answers. They were lying on the floor and getting tickled when they answered. But it was what I saw in a “real classroom, so that was why I tried it. I felt that I needed a textbook for each class, K12 provided all these textbooks and workbooks (one for each class) and I intended to use them. I watched the grades slip in spelling and I saw the boys learn the spelling rule and list of words and then forget. Their writing was full of misspelled, former spelling words. I watched my youngest hate phonics “class” to the point where he was beginning to hate reading. And I watched my oldest get frustrated by the rhythm of follow the textbook’s activities then do 2 worksheets of problems in the math program. While teaching in a public school, Video was a dirty word!! Now I know that for some learning styles it works very well (and easy to do when homeschooling). In the past few months we’ve watched many science documentaries. We’ve read books and then watched the movie and written or spoke comparisons. I’ve watched their oral vocabulary soar!! Not getting a phonics rule, a chemical reaction, and a trajectory equation? There is most likely a YouTube (a free homeschooling too)l for that! And it probably has a song about it, especially for the LOs. I learned to stop giving grades. When they get above 87%, we move on. They don’t need a grade and I don’t need them to take a test in order for me to figure out they have or don’t have something. I learned that it is okay to have my kids teach or help each other. I tried that my first few years teaching in the PSs, and I would end up having to teach it again because the group didn’t understand it well enough to teach it in the first place. But now, my oldest has had the lesson before, so it is a great review for him to teach it to his brothers. Then I can build on it and go deeper with him. So then I needed to find a solution to those textbooks. I found the solution in my objectives!! I was looking at them the wrong way!! When I was using k12 the objectives came packaged to my door. When I went out on my own, I bought the “2nd grade science book” and the “second grade math book” and “spelling grade 3.” I created some general objectives and went on with the lessons. I followed the book. I learned that my general objectives were great, but if I made my specific objectives even more specific, I was able to use them as discussion questions and move on without a test. Then I noticed that my objectives were a great jumping off point for finding books and materials. In the PS, the materials were usually the jumping off point for making my objectives. Looking at it from the flipped perspective opens up learning to a world experience. I could ask the boys to come up with objectives themselves! What do YOU want to be able to do? And boy oh boy did they provide! Using their objectives and some of mine along with a scope and sequencing guide: off we went. I would find multiple textbooks for each subject. And it was OK if we didn’t follow in order and we didn’t finish the book and we used it just as a reference for its great experiments. We might use another part next year! I could tag things that we liked, didn’t like, whatever. The world opened up to us. I began to see that the trip to the farmer’s market was a learning opportunity. We stopped “book learning” altogether for the big holiday breaks and learned through our baking, card making, gift giving. I took them to the bank and opened an account. They get a statement and we talk about it every month. Just every single day. Learning. Thanks to this teacher, turned homeschool mom, for allowing me to print her personal story. She explains common mistakes that many make when they start homeschooling, and how she improved her ability to homeschool. Her story can save you and your children a lot of heart ache. Homeschool is so much more fun when you use full body engagement. As a home school workshop leader, I am often asked questions about how to get started home schooling my child. This page is especially for newbies, but the experienced home educators can also benefit. Most parents care very deeply about their children (more so than the Department of Education). Studies show that home educated children outperform their public schooled counterparts even if the parent holds no degrees. 1. The very first step is to know your state laws. Your State Home School Associations are usually most helpful in this matter. 2. Knowing your child’s learning style will help you save money on curriculum that does not work with your child. Workbooks work just fine with some children (45% of the population), but do more harm than good for the rest of the children. 5. Here is a link to save you money: How to Write Your Own Lesson Plans . It is easier than you might think. 6. Ring Around the Phonics (game for reading, phonics and Language Arts), and Math U See’s the beginning lessons, both teach to the various senses thus improving the health of the brain. Ring Around the Phonics has also shown to teach to different learning styles, and learning disabilities as described above. What is so wonderful about home schooling is that you adjust the lesson plans to the child rather than trying to force the child into a one size fits all lesson plan. Sometimes parents feel they are not qualified to teach their child to read. I always ask them if they can read. If you can read, you can teach your child to read. It is very easy with a little information, and the right tools. Many home educators look for ways to earn extra income from home. 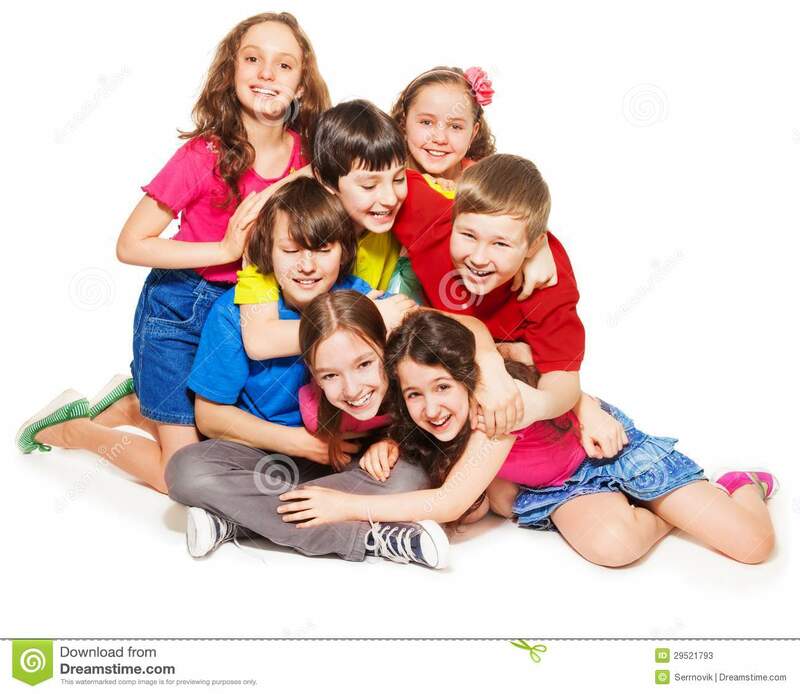 Ring Around the Phonics and Math U See are very effective tutoring tools that can earn you extra income.8. If you have other questions, please feel free to contact Roma. Designed by Ring Around The Phonics.